Hewlett Packard, the leaders in printing and imaging industry, today announced the launch of its application service HP Wall Art, a first-of-its-kind custom wallpaper printing service powered by HP’s industry-leading printing technology, and targeted at savvy home owners looking to transform their living spaces into works of art; with a look that reflects their interests, taste and lifestyle. HP is aiming to create compelling customer experiences with HP Wall Art through selected Print providers, who in turn will offer HP Wall Art to homemakers, interior designers and other professionals in the interior décor industry. 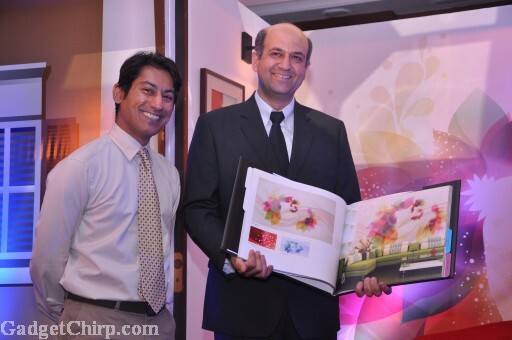 During the launch event, HP introduced “Arun & Rajive,” the first HP print provider offering HP Wall Art through their website www.createyourwalls.com. Remodelling homes with environment friendly and truly personalised taste is now easy with HP Wall Art. This new product is designed for homes and office interiors and allows consumers to self-create wall décor that bears a strong mark of their taste and personality. CreateYourWalls.com is an introductory service that lets home owners create bespoke wallpapers with an easy online design tool, which makes designing the wall décor as easy as drag and drop. Consumers can easily choose from dozens of design templates available in the Wall Art gallery, grouped by themes like Abstracts, Passion, Kids, Nature and Spiritual. These design templates serve as the starting point of your own, unique and personalized wall décor. It is very simple to choose the design template, drag and place design objects and elements where you want them to appear, and order the wall décor online. The wall décor is printed at a state-of-the-art factory set up by Arun & Rajive and are delivered and installed without much delay. HP is expecting many such interfaces to be created and launched over a period of time, which will together bring an enriching consumer experience while designing their own home décor. HP Wall Art décor is extremely durable and are tested to resist fading for 20 years. The wall décor is also easy to maintain and can be cleaned easily with water. The material used in these wallpapers has been specially engineered with Indian climatic conditions in mind. 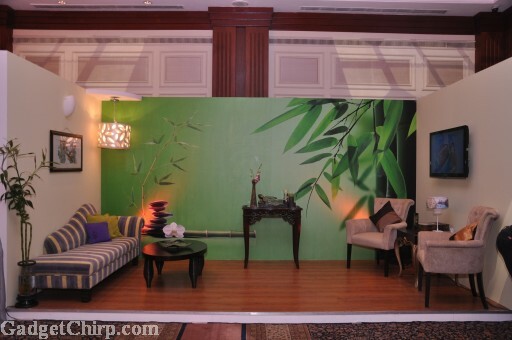 HP Wall Art is printed on a 100% safe wallpaper media and is a certified green product by GREENGAURD and Intertrek. The wall décor is also environment-friendly and are printed on HP’s PVC-free media, using HP’s state-of-the-art, eco-friendly Latex inks.